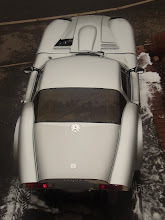 Marcos Mantula: What's a Marcos then ? What's a Marcos then ? 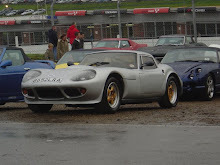 "Well it's called a Marcos because of Jem MARsh and Frank COStin hence the name and they're bloody fast". So with my excuses here to those already in the know about the Marcos history i will tell the abbreviated story again especially having mentioned to a few younger guys at work about my new toy they mostly had never even heard of the great Marcos name, by the way it's pronounced MarCOS and not CUS. Jem Marsh and Frank Costin founded the Marcos marque in 1959. Their first cars drew on Costin’s aviation experience as Costin had earlier worked on the De Havilland Mosquito fighter-bombers and from there he got the idea to use plywood for the monocoque body/chassis unit and being lightweight and with good aerodynamics they gave outstanding performance from the relatively modest engines they used. Wooden cars eh, remember Morgan still do them even now. In 1966 the Mini Marcos was introduced; a fibreglass-bodied car using trusted Mini mechanicals. It sold extremely well despite being described as “ugly as Hell”. Subsequently the Mini Marcos earned its spurs and reputation on the track, especially at Le Mans in 1966 when it was the only British car to complete the 24-hour race. In 1969 the Adams brothers were commissioned to design a steel chassis replacement in an attempt to cut down on manufacturing time, this appeared in the form of a square section space frame that cut some 15 hours off each build. Power units were generally Ford and Volvo, encouraged by a healthy order book, the decision was taken to move the manufacturing plant from Bradford on Avon in Wiltshire to a new factory nearby in Westbury. Relocation to a new factory caused considerable delays which combined with a collapse in the UK market and problems involving the US importer resulted in the closure of the company in 1972. 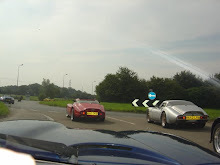 In 1982 was the rebirth of the Marcos and in 1984 the Mantula Coupe was announced fitted with a 3.5 litre Rover V8 later followed by the Mantula Spyder a convertible version of the car, the last of these using the 200 bhp 3.9 Rover V8 engine up until 1991. At the 1993 Motor Show Marcos unveiled the GT Le Mans that brought the famous name back onto the racing circuits of the world. With a top speed of over 200 mph being the company’s contender from the new GT class. Under the Team Marcos-Computacenter with the LM500 race cars competing in the UK BRDC GT Championship, returning in 1995 with the brand new LM600, where the LM500 was impressive the LM600 was astounding. It took pole position first time out, achieved a GT2 class victory in its next race and then outright victory as an encore against all classes. The LM600 went on to dominate and finally win the 1995 BRDC National Sports GT Championship. In June 1995 the team went to France for the famous Le Mans 24 hour race, finishing the gruelling event seventh in class quite an achievement for such a small manufacturer. the appointment of the receiver in early 2001. 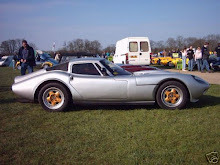 In 2002 the name was revived again by the announcement of the TS model backed by a US backer and revealed at the Goodwood Festival of Speed, in 2004 production was moved to Prodrive in Warwickshire and power uprated to the 5.7 chevy V8 however in October despite rave reviews Marcos was back into Administration blaming high costs and lack of investment.